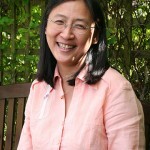 Professor Bee Wee, FRCP FRCGP FAcadMEd MA Ed PhD, is National Clinical Director for End of Life Care for NHS England. Bee is Consultant in Palliative Medicine at Sir Michael Sobell House, Oxford University Hospitals NHS Foundation Trust and Associate Professor at University of Oxford, where she is also Associate Director of Clinical Studies and Fellow of Harris Manchester College. Originally from Malaysia, Bee qualified from Trinity College Dublin in 1988, trained in general practice in Dublin, then moved into palliative medicine in Ireland, Hong Kong and the UK. She was Consultant/Senior Lecturer at Countess Mountbatten House, Southampton (1995-2003), where she became Deputy Director of Education, School of Medicine at the University. She was President of the Association for Palliative Medicine of Great Britain and Ireland (2010-13), National Clinical Lead for e-ELCA, a DH-commissioned e-learning programme for end of life care, now hosted by Health Education England, and Chair of the Topic Expert Group for the NICE Quality Standard for End of Life Care (2011). She enjoys cooking and allotment gardening for relaxation. Bee is Visiting Professor at Oxford Brookes University and University of Worcester, and Honorary Professor at Sichuan University, China. She is Head of the World Health Organisation Collaborating Centre for Palliative Care in Oxford. As NCD, she led the Leadership Alliance for the Care of Dying People and is co-chair of the National Partnership for Palliative and End of Life Care which was responsible for publishing the ‘Ambitions for Palliative and End of Life Care: a national framework for local action’ in 2015. Transforming end of life care in hospitals: what’s happening?